Thank you for visiting the new online home of Charleston Limousine and we welcome you warmly. 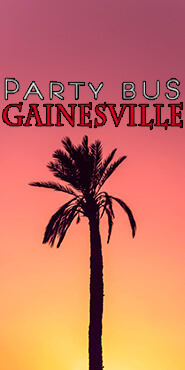 Party Bus Charleston has been a long-time provider of limousine and luxury transportation for the entire metropolitan area. We hope that you take the time to contact us and be brought up to speed on how we treat our prospective clients and the manners in which we do business. You are not going to do believe the enjoyment that one of our vehicles and can provide to you and your friends. The Charleston area is the perfect companion to a ride with us as there are so many unusual and unique things to see and do. It is going to be very difficult to pick and choose what you want to visit, but we know that you are not going to want to miss destinations like the Magnolia Plantation and Gardens, Theater 99, Waterfront Park and the Nathaniel Russell House Museum just to name a few. Once you get your itinerary together, all that will be left to do is book one of our fantastic vehicles to complete the picture. We have a very beautiful home town and everyone with our company has lived here their entire lives here. Therefore, we add a bit more knowledge to the limousine business than most can. Additionally, we are steadily growing in the direction of finding more and more ways to take better care of your needs. And you can believe that riding with us is going to be much more preferable to carpooling. Think about it. If you choose to carpool, your entire group will be separated from each other over and over again as everyone moves from destination to destination. And because you will be using designated drivers from your group, there are some of your friends who will not be able to enjoy some of their favorite libations. While fighting traffic as you travel from place to place, each vehicle in your carpool will have to search for a parking space which will be as convenient as possible for your group to come back together again and again. This doesn't sound like a very fun experience to us. But when you ride with us, all of these problems will be taken care of. For one, your whole group will be together for your entire experience. And because of the amazing features and amenities we have installed, the party will never end. Not to mention how convenient it will be to have our driver drop you off right next to each venue as well as be picked up at the same place. Now you can see why we are the only true option for your plans. Our Charleston Party Bus vehicles and chauffeurs are some of the best in the area and we have the know-how and professionalism to handle any kind of event or occasion. No matter how formal or how casual, we're here for you and we value all types of trips equally and treat them as our own. Your next step should be to peruse our entire website in order to learn as much as you can about what we do. We highly recommend that you have a notepad and pen nearby while you are reading so that you can jot down any questions or concerns that might come up. When you feel like you have gleaned everything you can from our website, it will be time to contact our customer service office. You are going to love talking to our very affable agents. Our customer service specialists know our business backward and forward and they absolutely love talking about what we do. And one thing that we will promise you is that we will never pressure you into making any kind of decision. if all you want to do is talk, that is fine by us. But when you do think you are ready to take the nest step, one of our representatives will be more than happy to walk you through the easy and painless booking process. So, when you are ready, we will be here for you. We look forward to hearing from you and to bring you the absolute best luxury entertainment transportation service available. Just have a few pieces of information ready for us like where you want to go and the size of your group and our experts will get to work fitting you to the perfect vehicle and providing you with a quote. If you're from Charleston (or anywhere near here) you have likely seen this one out and about. 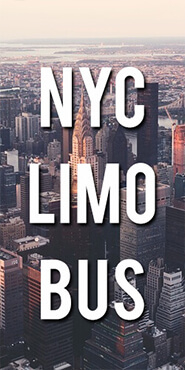 Our exclusively-designed Hummer limo is a favorite for occasions of all kinds and seats up to eighteen people. There aren't many companies that have such client-friendly pricing policies as we do. On our Pricing Page, we give details as to exactly how we assist you in finding the lowest quote possible. Places like the American Theatre, Avery Research Center for African-American History and Culture and the plethora of beautiful churches in metropolitan Charleston have more and more people wishing to see the sights every day! We'd love to provide a fantastic ride and all of the assistance that comes with our service, for your day away from it all. All of Charleston knows that we are the go-to company for limousines for weddings. Well, we've added in special incentives for when you wish to book your bachelor/bachelorette parties with us; along with your wedding. With King Street, Mount Pleasant Towne Center, Old City Market, Tanger Outlets and The Citadel Mall all drawing people from everywhere; there's no reason to be rushed while shopping, nor irritated. We get you through all of the traffic and parking issues, route your day to use your time to its best potential and fit everyone in one vehicle. Copyright © 2019 | www.LimousineCharleston.com | All Rights Reserved.